Mapuzi Is one of the most beautiful and secluded spots in the area and only 2.5kms north of town. Coffee Bay isn’t a big city but sometimes the hustle and bustle of the locals can make you feel over crowded on some beaches. Mapuzi is your own playground, your own space and it’s quite rare to have to share. Mapuzi is situated at the river mouth and contains crystal clear water perfect for a swim. Follow the river mouth out to a large rock formation that has fantastic spear fishing and free diving, making dinner much easier to find. Mapuzi is simply untouched perfection, and only being a short distance from Coffee Bay, there’s no reason not to experience it. You can hike to Mapuzi two separate ways from Coffee Bay. One is to walk along the rocky coastline all the way, but only when the tides are right. The second option is up top, all along the rugged cliffs and rolling hills with beautiful scenic views the entire journey. Driving is possible but again best accessed with a 4×4. 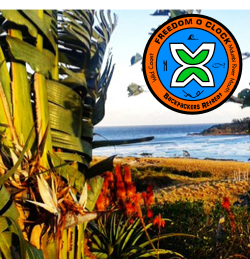 There isn’t much as far as accommodations and restaurants at Mapuzi, but its close nature make it an awesome day adventure. 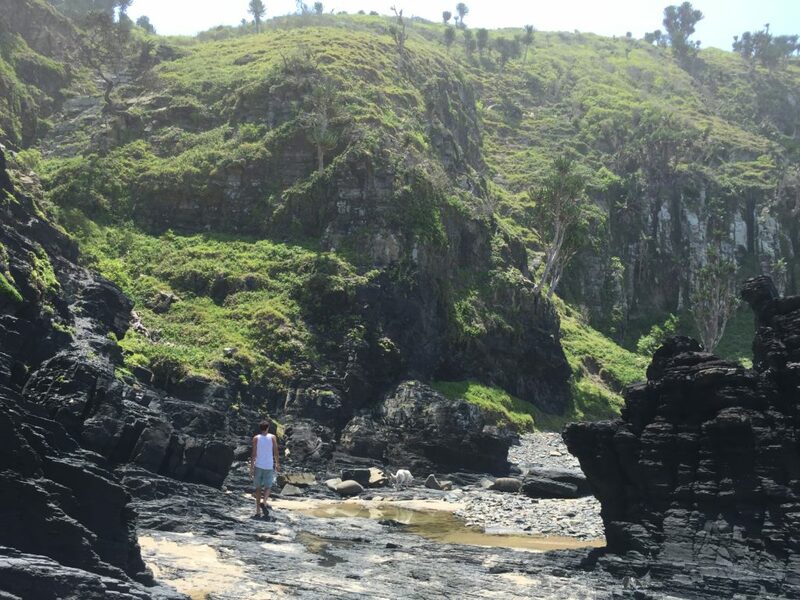 Once you’re there, relax and enjoy the scenery or follow the edges to Mapuzi cliffs, where you can find a cave with a hidden natural Jacuzzi. For those more daring, the Mapuzi cliffs are also perfect for jumping, with the highest being 14 meters! Full of history and hidden gems, Mapuzi beach is a must do.